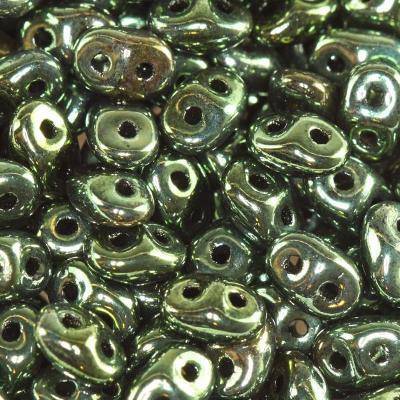 SuperDuo beads luster coating chameleon green 2,5 x 5 mm / Czech two hole beads Are welll known and popular seed beads with two holes. They are produced by Matubo in Czech Republic. Original Czech beads.